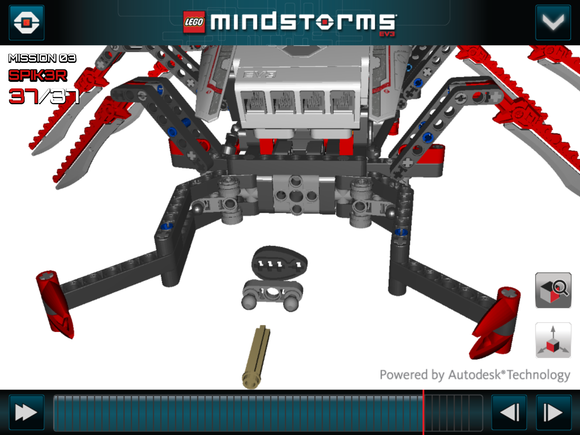 The software will be used to create 3D building instructions that allow Lego Mindstorms builders to see how the components fit together in a 3D image before they build the robot. The 3D instructions are a more real-life digital alternative to regular building instructions, Autodesk and Lego said in a news release on Thursday. The software will allow builders to zoom in and rotate each step in the building process, making it easier to assemble the most sophisticated robot, according to the companies. Lego spent three years developing the new software and hardware. The 3D building instructions will be available in iOS and Android apps, as well as via a Web application, said Christina Schneider, spokeswoman for Autodesk, in an email. 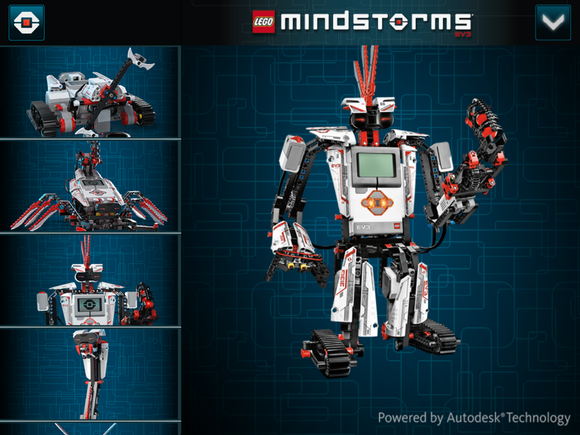 The software will be available in the second half of the year, when Lego plans to launch its new, tech-savvy Mindstorm EV3 series. "The Autodesk software used, Autodesk Inventor Publisher, is software that allows companies to create 3D models of technical documentation. This can simplify the creation of technical manuals, assembly instructions, user guides, and other interactive technical communication," Schneider said. With Mindstorms EV3, Lego wants to introduce children to building and programming robots. Users will be able to build 17 different robots using Lego's instructions, including "Everstorm" a Mohawk-sporting humanoid that shoots mini-spheres as it walks, or "Spiker," a scorpion-like robot that searches for an IR beacon "bug," Lego said. The robots can be programmed via an intelligent Lego brick that untethers the robots from the computer, but a computer can also be used to program them. EV3 comes with Linux-based firmware, a USB-port and SD expansion for further programming abilities, Lego said. They can be operated by using an infrared system or a remote control. A mobile phone can also be used to instruct the robots using voice commands. EV3 will also include full iOS and Android compatibility out of the box, Lego said. Mindstorms EV3 will be released in English, French, German, Dutch, Russian, Korean, Japanese, Spanish, Chinese, and Danish. Mindstorms will be available in the second half of this year for a suggested U.S. retail price of $349.99. Lego will also offer an educational platform later this year for use in middle and high schools that want to engage students in programming and robotics.